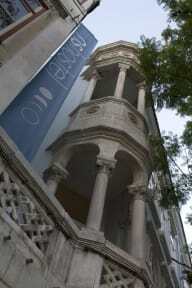 NS Property & Suites is a property located in a prime central city of Coimbra. 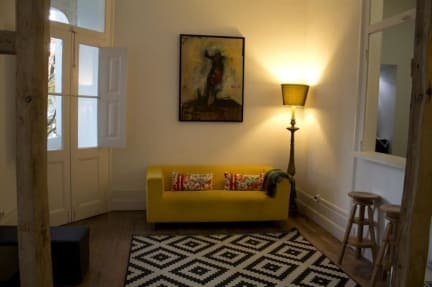 Located at Rua Lourenco de Almeida Azevedo, along the famous Jardim da Sereia and just steps from the famous Praça da República, a meeting point for students and academic stage for party! the NS is installed in a building dating from 1930 that has been fully restored. Keeping the original design, the property offers a blend of themes and details ranging from the design of the modern era, preserving worked ceilings, staircase and wood floors and walls in hand carved stone. Guests can choose between shared rooms and private suites, with or without wc. The rooms have telephone, lockers, television and WI-Fi. To enjoy, guests have at their disposal an elegant living room with bar, TV, DVD and computers, a nice room with natural light, as well as a patio and small corners where they can relax with a good movie, a good book or a good music selection. For your meals, have at their disposal a fully equipped kitchen with all necessary facilities and a dynamic and qualified staff, available 24 hours a day. Our commitment in NS Property Coimbra is to create a relaxing and familiar environment, offering a pleasant stay and a unique urban experience! Visa, Euro/Mastercard or Maestro cards accepted on arrival. Check-in time : 14:00 - 00:00.